You'll be £10.39 closer to your next £10.00 credit when you purchase Barnsley at War 1939–45. What's this? Order within the next 4 hours, 35 minutes to get your order processed the next working day! The ‘eleventh hour of the eleventh day of the eleventh month’ of 1918 was supposed to be the conclusion of the ‘war to end all wars’. 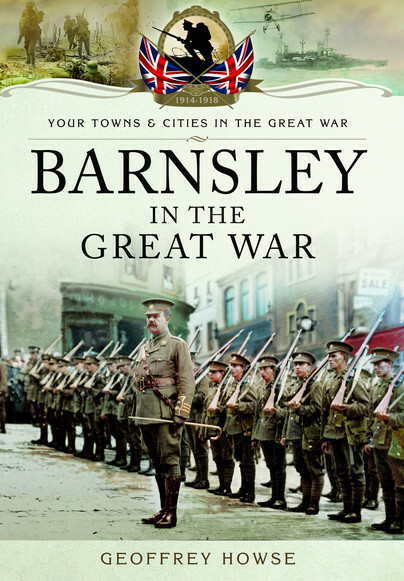 Just twenty-one years after the armistice was signed, Barnsley, its borough and the world braced itself for a global conflict that history would eventually testify to be deadlier than the war that destroyed a generation of Barnsley men and boys. After the Great War, the famous market town stumbled into a new era that promised social change, including universal suffrage, economic and political stability and establishments of new international organisations such as the League of Nations to steer the masses. In reality, the town suffered in poverty, endured pit disasters, countless industrial deaths all the while still lamenting its lost generation, mercilessly butchered on The Somme. 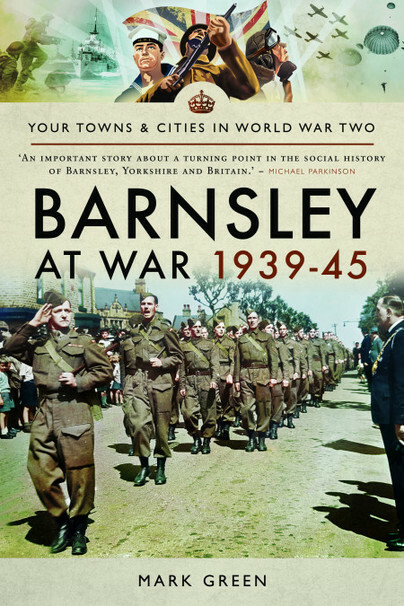 The books narrative explains in detail Barnsley’s transition from its interwar years, to the euphoria of victory in 1945, supported by a timeline of national events that helped shape the town. It steers away from the common two-dimensional viewpoints some people had on the Home Front and the endless reusing of the same themes - ‘the Great British spirit’, Churchillian greatness, D-Day, Dunkirk and VE day. Although one cannot dismiss those remarkable qualities the town developed during the war, it also explores controversial topics such as social impacts, the rise in juvenile delinquency, misplaced optimism, increase in crime and the acceptance of the status quo by some members of the ruling council. Indeed, Barnsley rose to the challenge as it did years earlier, women once again revealed their rightful place in society as equals, miners smashed productivity records, men and women took up arms in anticipation of invasion. The Second World War had arguably the same impacts on Barnsley as the Great War, further local names etched on the memorials as a timeless reminder of the men, women and children who died or gave their life for their town, county and country. Never to be forgotten. Mark’s interest in writing was sparked once he started writing articles for his town’s local history magazine, Barnsley Memories. He became fascinated by the sacrifice the local fishermen of Boston made for their town, and was eagerly driven on by the enthusiasm of local Boston people willing to help with his research into this remarkable place and into what the community endured. His personal interests are cycling, reading, history tours, researching local history and enjoying time with his two children.